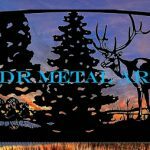 automatic gates Archives - Custom Driveway Gates - Iron Steel & Aluminum - JDR Metal Art - FREE Standard Shipping! 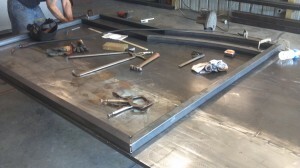 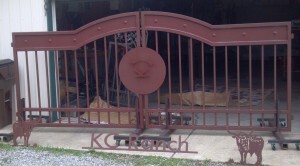 This custom designed iron driveway gate is being shipped from Columbus, Ohio to the Lazy K Ranch in Kansas. 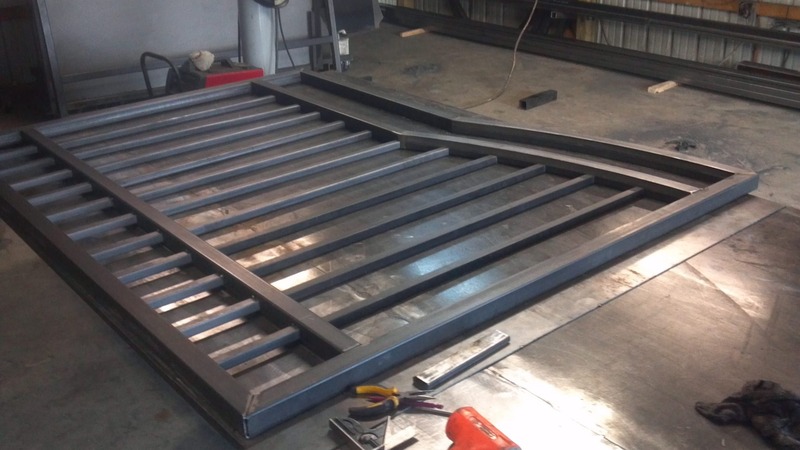 It is built with sheet metal that is adorned with hand wrought Mexican clavos while the gate frame consists of 2 inch square tubing featuring overlapping arches in the center. 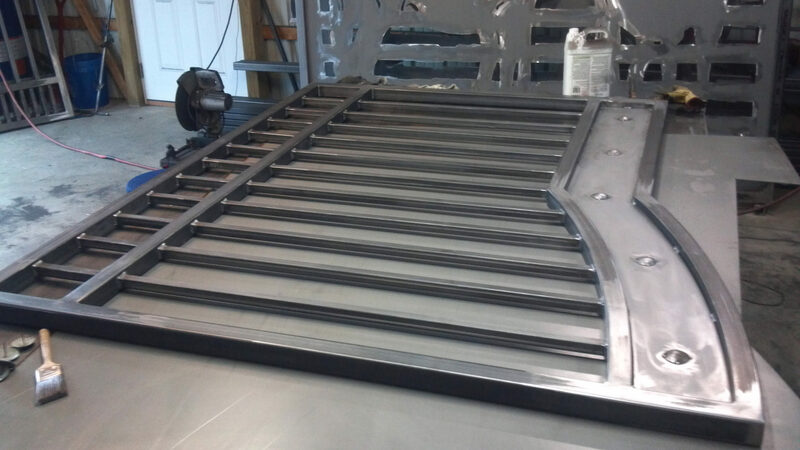 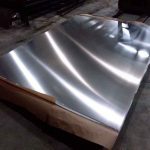 Both the tubing and sheet metal are all 1/8″ thick. 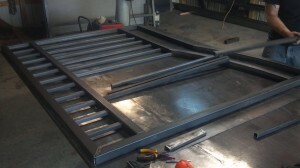 The sheet metal on each gate panel is covered with a total of five handmade Mexican clavos per left & right side. 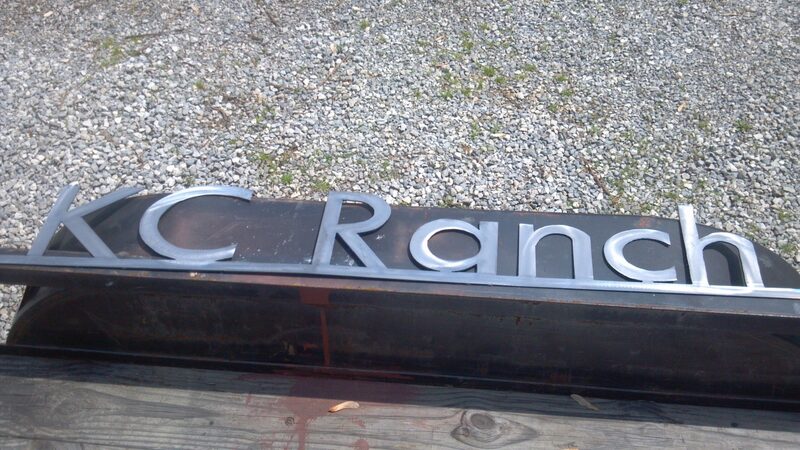 We plasma cut the longhorns about 12″ tall, also from 1/8″ material. 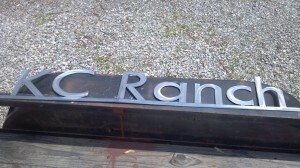 This “KC Ranch” sign will be going between the longhorn silhouettes across the top of the driveway. 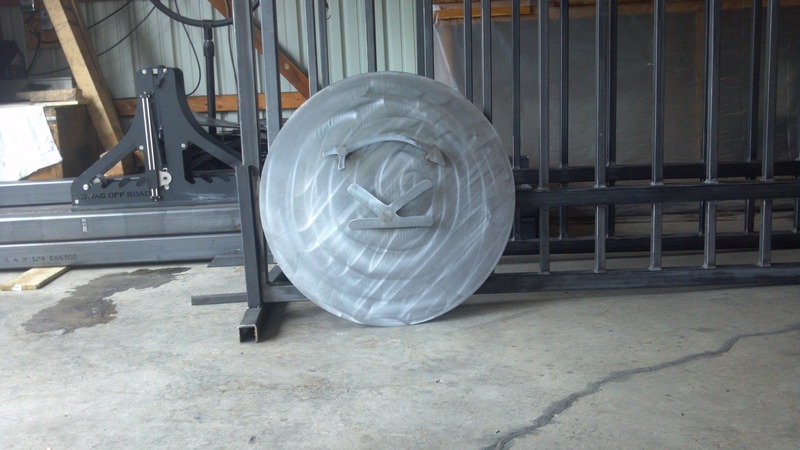 This heavy gage sheet metal circle has the customer’s brand mounted to the front of it. 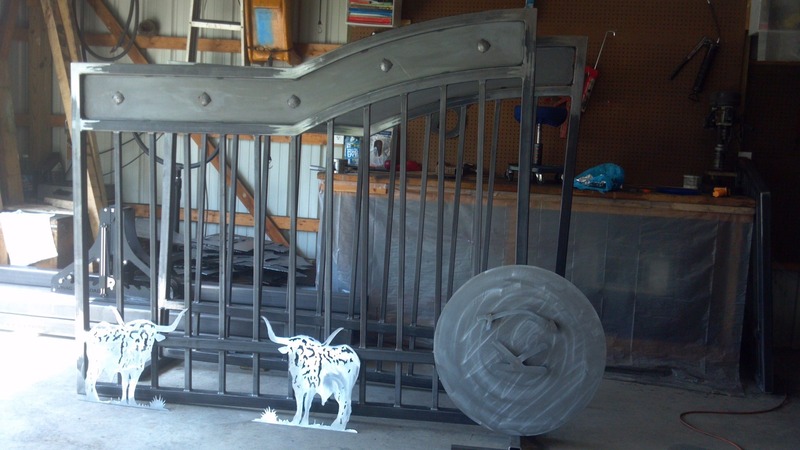 After a bath in Rustoleum metal primer…primer helps the top coat bond better to the steel and adds a layer of protection against rust and oxidation. 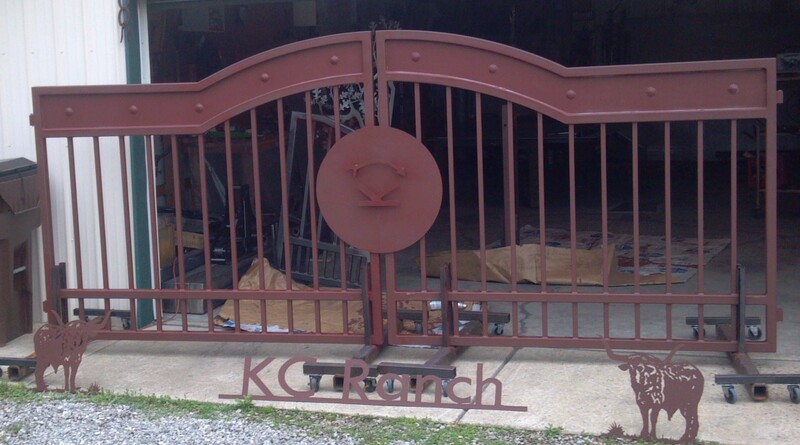 We design a wide variety of gates such as these or our horse silhouette gates, iron tree gates and decorative wildlife entry gates.You can learn more about getting your own custom design on our custom gate design info page.